To mark the 50th anniversary of the celebrated Polaris Memovox — a dive watch originally released in 1968 — Jaegre-LeCoultre released an entirely new collection themed around it at SIHH 2018. A total of five models, all deriving aesthetic inspiration from the original Memovox, are available. Thanks to their multi-crown setup, applied markers and bidirectional bezels, the new timepieces are likely to attract interest from customers looking for a JLC on the sportier end of the spectrum. The focal point of this collection is the Polaris Memovox Limited Edition. Highly reminiscent of the original 1968 model, this commemorative run of 1,000 watches is likely to appeal to those favouring vintage aesthetics and a value-added movement. The dial language on show is balanced and legible — a necessity for any good purpose-built tool watch. All indexes are applied with a subtle vanilla lume, which helps to achieve visual consistency among the three “rings” making up the dial. That dial itself, split into the aforementioned rings, is executed in three different finishes — sunray, grain and opaline. Under the hood, the Limited Edition is powered by the calibre 956: housing the Memovox’s distinctive alarm and jumping-date systems. Given the sense of occasion accompanying this release, JLC have gone the extra mile (in terms of manufacture) by bringing assembly of all Limited Edition movements in-house. To that end, every calibre 956 is assembled at JLC’s facility at Le Sentier, adding value to an already limited timepiece. If the Limited Edition seems too faithful to the original Memovox, contemporary enthusiasts also have the option of the Polaris Date. The most noticeable points of difference are aesthetic, with the latter possessing a slightly enlarged case (42mm) and dual crowns. Having said that, for mechanically inclined collectors, it’s worth emphasising that the Polaris Date utilises the calibre 899A/1: a movement with seven hours less power reserve than the aforementioned calibre 956. The Polaris Automatic eschews novelty in favour of clean, precise legibility and a 42mm case that’s bound to have mass appeal. 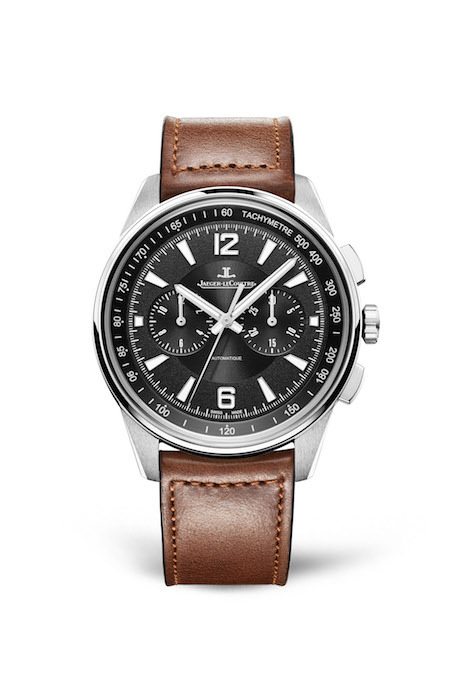 In the interest of variety, JLC have also included an entry-level model in the new collection. 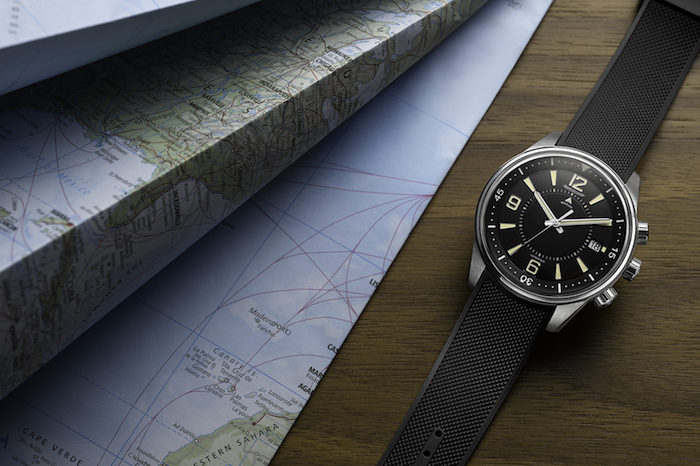 The Polaris Automatic embodies the essential elements of JLC’s iconic dive watch, eschewing the Memovox alarm, jumping dates and clous de Paris strap accompanying its ancestor. The result is a clean architecturally open timepiece that draws the wearer’s attention to all aspects of finishing. At 41mm, it’s likely to possess Goldilocks-esque appeal for many wearers — perfect for daily use in most professional environments. A worldtime disc and 44mm case contribute to the Polaris Chronograph WT’s massive on-wrist impact. For the remaining two models in the collection, the historic dive watch aesthetic is leveraged in favour of a mechanically different kind of beast — chronographs. 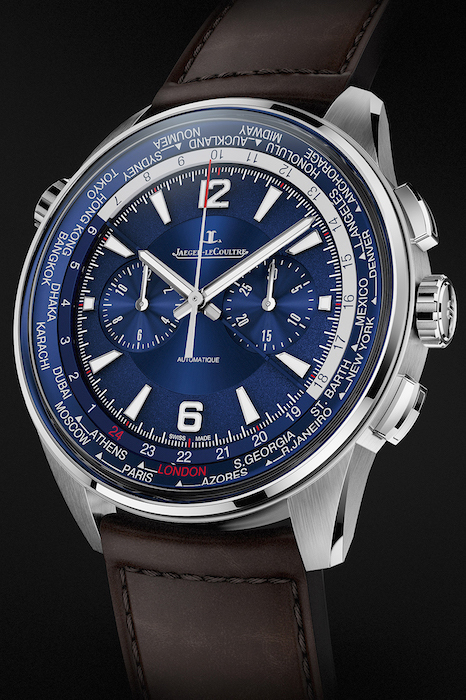 The more complex of these, the Chronograph WT, packs in more complications than you can shake a stick at, the centrepiece of which is the worldtimer. Naturally, this much horological firepower requires a sufficiently large housing; with the WT appearing on the larger side with its 44mm case. Given the continued popularity of “dinner plate” watches, the WT is likely to receive lots of traction from those who prefer modern sizing. 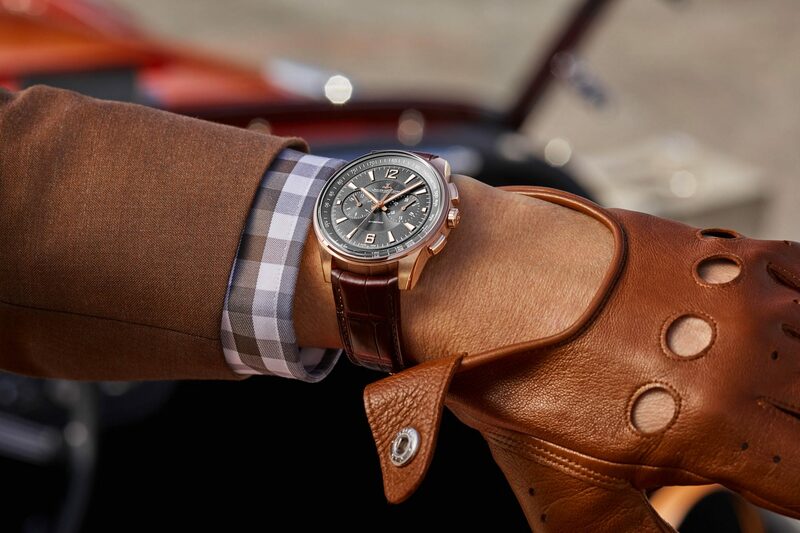 Less complicated — and more straightforwardly named — is the Polaris Chronograph. Aside from the obvious fact that this is an in-house chronograph, the biggest draw is the Polaris Chronograph’s availability in a dressy format. Available in both stainless steel and rose gold, JLC have balanced the visual chaos inherent in chronographs with design queues that are unmistakably part of the wider Polaris identity. The Polaris collection’s ode to two-register chronographs. Note the distinctive Memovox sector dial. 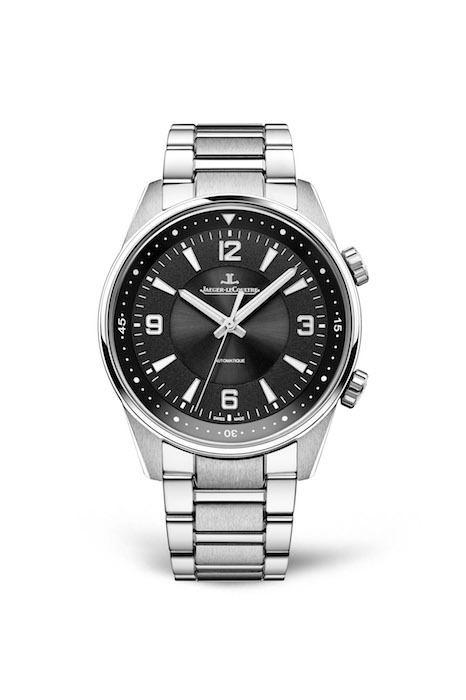 Watches in the Polaris Collection start at US$6,600. For more information, visit Jaeger-LeCoultre.